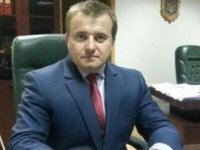 Ukraine has paid for two more vessels carrying coal from South Africa, Ukrainian Energy and Coal Industry Minister Volodymyr Demchyshyn said. "We've bought two more vessels of coal from South Africa, they are to arrive soon," he said. According to Demchyshyn, the price of new coal is lower than the price for previous batches. The quality of the coal previously bought from South Africa was insufficient for it to burn without mixing with other grades of coal, he said. At the same time, purchases of such coal are expedient while Ukraine faces a coal deficit, he added. As reported, vessels carrying coal from South Africa can carry about 80,000 tonnes of coal.